How do we feel about unsolicited redesigns? I’ve read they’re arrogant. The designer doesn’t have the same metrics and resource constraints as when it was made. But these things also get the conversation going. Whatever your view is, this unsolicited redesign is a little different. I got the green light after I started designing it. I didn’t really want to design something headed for the dumpster. I wasn’t given any business goals, no clue on who their users are and zero brand guidelines. So if you’re here to say “That’s not how you design.”, now you know what I knew going into this. I chose to do this because I could. 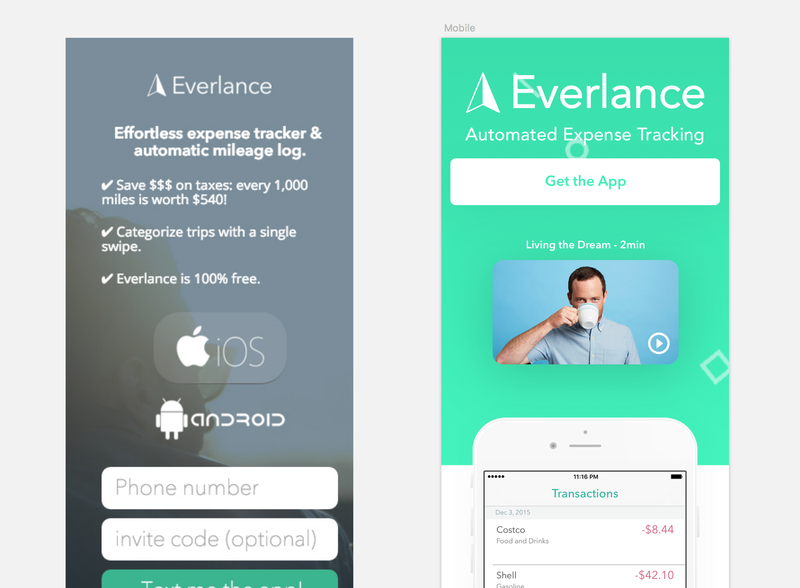 The freelance world always need better tools — I think Everlance is working to make that happen. If you read this far and haven’t hit ⌘+W, welcome to the party. So my amig0 Ashkan came through town last week on a mini vacation. Turns out he recently started with Everlance to head up growth. I thought he was still in the Bitcoin business. 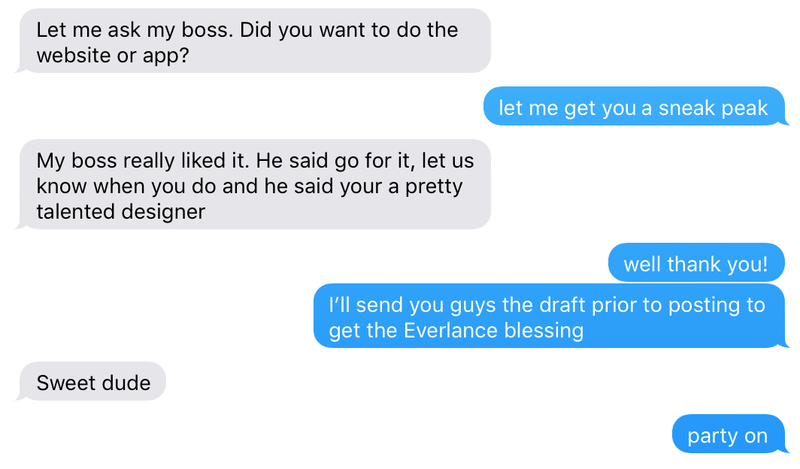 I had never heard of Everlance and all for good reason. They just launched last fall. Look them up. They’re a 5 star app right now. 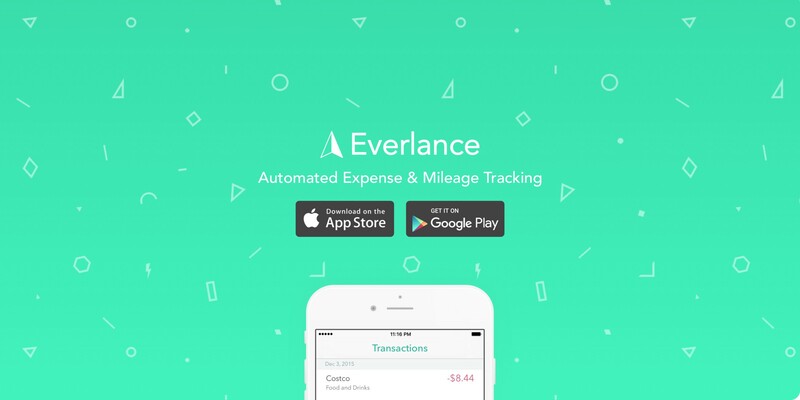 After a few tasty cervezas accompanied with good conversation, I had a thorough understanding of Everlance — a mobile expense & mileage tracker. Expense trackers are a dime a baker’s dozen but mileage trackers? That’s a solid angle. I’m sure they exist but the solve Everlance is offering has some room for serious feature growth and partner applications. The next day, I went to Everlance dot com. 7.10s later the site loaded. It wasn’t the polished awesomeness I had in my mind. This was my “How can I help?” moment. That quote above is from the Aberdeen Group and is almost 8 years old. I’d expect a 1-second delay now to be conversion loss around 14-20%. Myself: Don’t you design things? Myself: Why don’t you redesign their site? Me: Ha OK. So I put in all this time and it like goes nowhere? Myself: I guess…but write about it. Offer solutions. Oh and give the files away so they can make the site! - Make a site that has CTAs to convert. Everlance needs users. I took 10 minutes and ran through the site. My notes are mostly negative. No aim to offend whoever had a hand in the final design + story. The fact that a web site ever goes live is an accomplishment in itself. Red tape & too many cooks can feel like a marathon. Also gnarly deadlines feel like a marathons. Also marathons feel like marathons. See my notes below. So from digesting all of that, here are the questions I’d expect a user to ask. The order listed below is the same flow in which the site answers them. I’m here to download the app. How do I do that? What are the killer features? Help. I need help. How do I contact you guys? All art and copy is for concept only. I have no idea if there are 40,000+ companies using Everlance or if you can close your account at anytime. But it for sure looks bueno. And if you’re wondering, yes I did include a full mobile build in the sketch docs. To the guy or gal reading right now — I hope you enjoyed this. I for sure did. I mean I got to design whatever I wanted. Also, I don’t see too many side by side markups these days. Maybe we should do more of these? 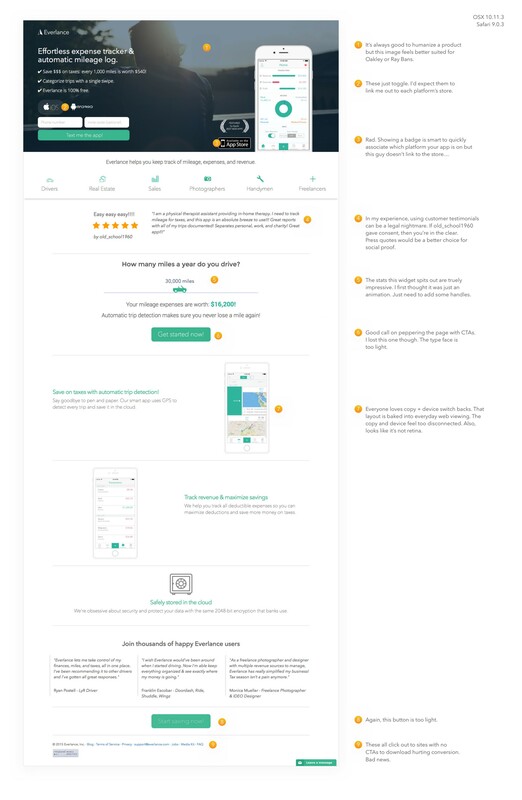 Also, if you want to give feedback on the work, scope it on dribbble. Oh and if you’re a freelance anything, download their app.